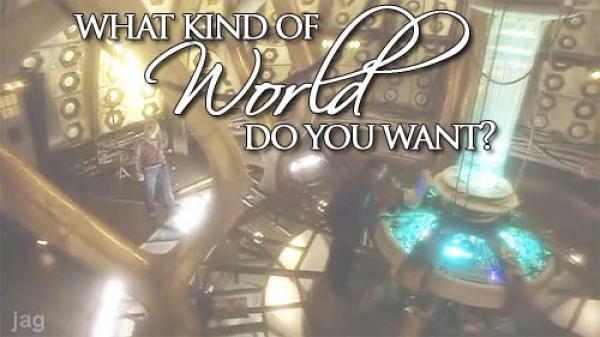 Duckie's Cave » Doctor Who: What Kind Of World Do You Want? Doctor Who: What Kind Of World Do You Want? This is a Nine/Rose vid. It’s not really shippery or anything. It’s more of a companion piece, telling the story of a traveler who shows his world to his new companion. He’s forgot to tell her one important thing though – that’s she’s gotta be careful what she wishes for. Download 44.09MB file here (715 hits). Posted: January 24th, 2007 under Doctor Who.